At Running Excels, we really value that importance of finding a pair of shoes that is going to help make you a better runner. Whether that means providing you with shoes to prevent an injury, to help recover from one, to make you faster, or just to make your more comfortable, varies for every customer. What stays the same is our goal: to help make you the best runner or walker you can be. And it all starts with our fit process, a service we offer to all of our new customers. The fit process begins with a brief gait analysis. Our customers remove their shoes and socks and step on the treadmill. While we videotape, the customer walks slowly on the treadmill, then increases the speed to an easy running pace. From the video, we can notice any pronation (the feet rolling inward), suppination (rolling outward), or a neutral (stable) gait. We use this information to determine exactly what kind of shoe is going to be beneficial to your running or walking form. Wearing the correct pair of shoes for your feet is key to making you a more efficient, and better, runner. The right pair of shoes can prevent injuries like shin splints and plantar fasciitis and make your running more comfortable. Just like your car, it is very important to keep track of the mileage on your shoes. We recommend that customers get a new pair of shoes after 350-500 miles. After this many miles, the shoe structure and cushioning begins to break down, so they don’t perform as well anymore. If a person runs on shoes with worn out cushioning or arch support, the risk of injury is greatly increased. We recommend that customers retire worn-out shoes and use them for kicking around and light impact activities. 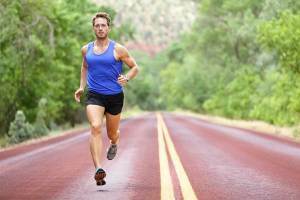 A popular trend within the running community is barefoot or minimalist running. Additionally, brands like Hoka and Altra have become popular for long distance running because of their extreme level of cushioning, or maximalist shoe style. Some runners prefer as little support as possible, while others prefer as much as possible. Every runner is different. 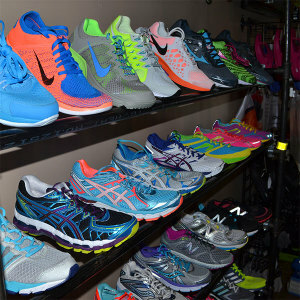 There is not one shoe that is perfect for every runner, but we do believe that every runner can find a perfect shoe. Please let us know during your gait analysis if you’d be interested in hearing more about minimalist or maximalist options. We hope this information helped you get a little more acquainted with our fit process. Please don’t be afraid to stop in at one of our locations to pick our brains for running knowledge, tips, and tricks. It’s all about you…and your feet!